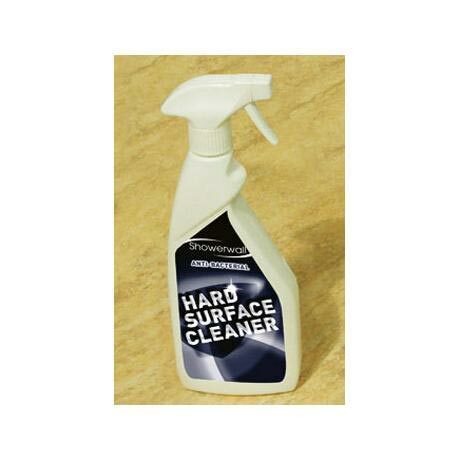 This Hard surface cleaner is designed by Showerwall to be used on all of their products to kill bacteria and keep surfaces clean without scratching. The solution is recommended for optimum life and performance of the shower panels. This item was despatched very quickly and was very well packaged. So far my daughter has used it and didn't find it very helpful in removing the ground in dirt, so it should be sprayed and left to soak in before using the cloth. Excellent product and price, this is by far the best cleaner i have ever used on my shower unit. really makes it sparkle!